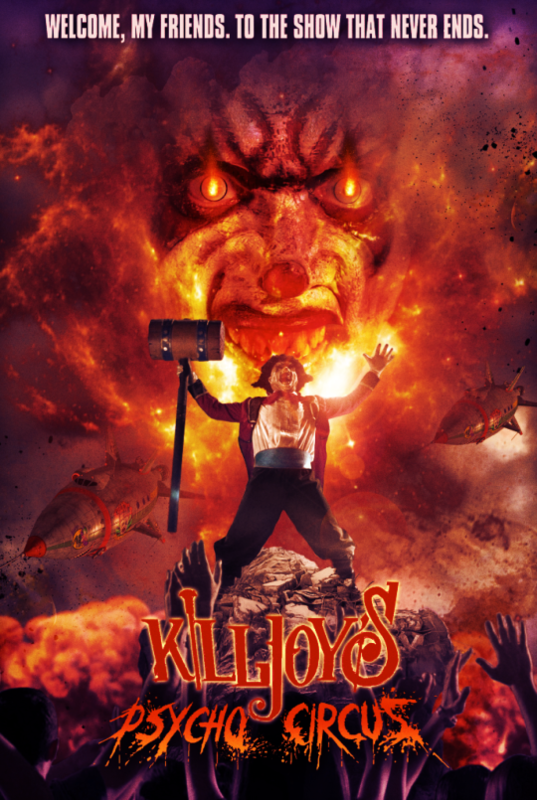 Fifth in a series about Killjoy, a psycho clown and his band of followers. After havng escaped from hell they are back on earth where Killjoy is hosting a TV show. Amusing bad taste and violence gives way to a kind of boredom as things ramble all over the place with the crazy clown and his friends ending up in space. I have not seen the other films in the series and there is nothing here that makes that seem like they are required viewing. On the other hand I don't see that other people were chomping to see the series continue either since it's taken 17 years to get the five films. (KILLJOY was 2000, KILLJOY 2 was 2002, KILLJOY 3 was 2010, KILLJOY GOES TO HELL was 2012). I suspect they are amusing (though IMDB has them rated pretty low) like this one but there is nothing really here that makes me have any idea why this needed to be made. For fans of Clown horror films (or the three of you who loved the series) all others can skip it.